John Maynard Keynes (pronounced “Kaynz”) was one the most important figures in the history of economics. He revolutionized the subject with his classic study, The General Theory of Employment, Interest and Money (1936). This is generally regarded as one of the most influential social science treatises of the twentieth century. It quickly and permanently changed the way the world looked at the economy and the role of government in society. He was born in 1883 in Cambridge into an academic family. 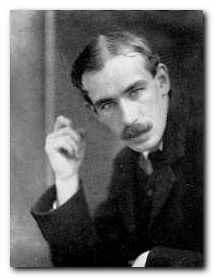 His father, John Nevile Keynes, was a lecturer at the University of Cambridge teaching logic and political economy. His mother Florence Ada Brown was a remarkable woman who was a highly successful author and a pioneer in social reform. She was also the first woman mayor of Cambridge. An interesting family detail is that although Keynes lived to the age of sixty-three, both his parents outlived him. He was educated at Eton and King’s College Cambridge where his intelligence made him very successful. He was almost immediately elected into the secret society known as the Cambridge Apostles. There he met Lytton Strachey and Leonard Woolf, who became his lifelong friends. 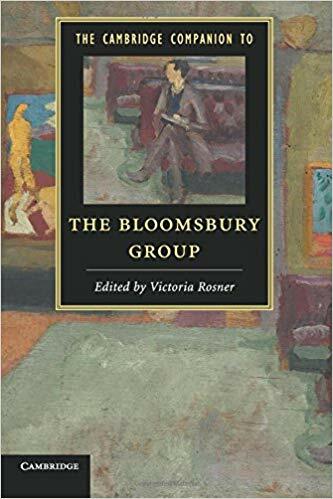 It was through these connections that he became part of the Bloomsbury Group. In 1908 he began a serious affair with the painter Duncan Grant. Keynes had numerous affairs with other young men, but never he never had the slightest legal or social trouble, even though homosexuality was illegal at that time. This charmed life can be explained by his combination of personal brilliance, family and professional connections, and remarkable self-confidence. Keynes lectured in economics at Cambridge on and off from 1908. He also worked at the India Office and in 1913 as a member of the Royal Commission on Indian finance and currency, published his first book on the subject. He represented the Treasury at the Versailles Peace Conference, but resigned in strong opposition to the terms of the draft treaty which he set out in his next book Economic Consequences of the Peace, (1919). Keynes argued that the war reparations imposed on Germany could not be paid by a country which had been devastated by war. He warned that this would lead to further conflict in Europe – which of course turned out to be true. In 1925 Keynes married a Diaghilev ballerina, Lydia Lopokova, but they never had children. With his wife he helped to found the Vic-Wells ballet. He also financed the establishment of the Arts Theatre, Cambridge. Although he never earned a great deal from either his academic or government appointments, he made himself quite rich by stock market investments. He was reputed to spend the first part of every day in bed, telephoning instructions to his stock-broker. Of course he had the advantage of knowing what the government’s economic policies were going to be (since he helped to establish them) – so this sort of activity is what we would today call ‘insider trading’. In 1936 Keynes published his most important book A General Theory of Employment, Interest and Money. It revolutionized economic theory by showing how unemployment could occur involuntarily. Keynes argued that the lack of demand for goods and rising unemployment could be countered by increased government expenditure to stimulate the economy. By 1937 Keynes’ health began to deteriorate. He would never be fully fit again. However, his expertise was such that he was given an honorary role in the Treasury during World War Two. One of the most important projects he was involved in during his last years was the setting up of the International Monetary Fund. In 1942 Keynes was elevated to the peerage and took his seat in the House of Lords, where he sat on the Liberal benches. Around the same time he became chairman of the newly formed Committee for the Encouragement of Music and the Arts which, before the end of the war, was renamed the British Arts Council. He died in 1946.
money into the system. On what makes no matter. 3. Homesexuals are Superior to Hetrosexuals. 6. Free Market Economics is Bad. Capitalism is Bad. 8. Consumption now, forget about the future. Childless couples like Mr & Mrs Keynes couldn’t care less about the future as they had no children. Keynesian Economics has created enormous debt and accelerated the consumption of our natural resources. Short termism is the road to ruin.